Have you or your family member been charged with a drug related crime? These types of offenses comprise the highest percentage of charges and cases handled by the Ocean County Court system. In New Jersey, law enforcement officials aggressively pursue those arrested on drug charges and prosecutors do not hesitate to seek maximum penalties against people convicted of drug crimes. Charges ranging from simple marijuana possession to facing penalties associated with being a leader of a drug trafficking ring, it’s important to understand the implications these charges can have on your life. They may involve a range of fines and can also represent prison sentences that will most certainly have an effect on your life in the short and long term. The lawyers at The Bronzino Law Firm can help you avoid the potentially devastating ramification of a controlled substance offense. Peter Bronzino and his legal team understand and have experience with the system in towns like Brick, Toms River, Lakewood, Jackson and across Ocean County. 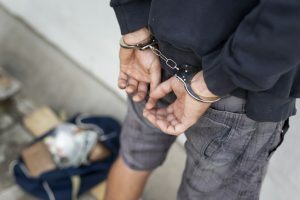 They utilize tools to divert your case to Drug Court, or Pre-Trial Intervention, or have the charges dropped completely because of Probable Cause, Illegal Search and Seizure or other legal technicalities. If you are facing drug charges in Ocean County, discuss your case with one of our drug defense attorneys free of charge by filling out a contact form or calling at (732) 812-3102. New Jersey Ranks #29 in a research study done on population of drug abusers by state. The same study shows that NJ ranks #10 in the country for law enforcement deployed and resources spent on drug related arrests, prosecutions, imprisonment, etc. These statistics clearly illustrate the New Jersey takes a very aggressive stance against drug related offenses, and if charged, these are not matters that you want to address without Counsel. Your attorney should be well versed in the law and the details of your case, treat you with respect and compassion, and it is preferable if they have a familiarity with the Municipal Court or County Court where you will be facing charges. The lawyers at the Bronzino Law Firm are dedicated to ensuring a defendant’s rights are protected under the rules of the law, and to making sure that police and prosecutors are held accountable to those rules. You want an attorney that will fight for you by your side from arrest to sentencing – if your case does go that far. Do not wait to contact us for a free consultation and case evaluation. You can reach our Brick or Sea Girt offices anytime at (732) 812-3102, or you can use the online contact form.